President Gloria Macapagal-Arroyo commended on Friday the city government of Puerto Princesa for its state-of-the-art engineered sanitary landfill facility, the first of its kind in the country and the first to fully comply with Republic Act 9003 or the Solid Waste Management Act of 2003. The P230-million pioneering landfill project is situated in a 35-hectare, environmentally controlled area, an abandoned mercury mining site in Barangay Sta. Lourdes, some 11 kilometers away from the city proper. “Thank you, Mayor (Edward Hagedorn) for this beautiful and very good project and for the help that you give to the country,” the President said during the inauguration of the landfill facility this morning. The Puerto Princesa City mayor chairs Task Force Jueteng, which was created by the President to stop jueteng operations in the country. The President said this is the first time that she has seen an odorless landfill facility. She expressed her appreciation to Hagedorn for his support and role in the government’s campaign against jueteng and commended him for the good condition of the infrastructure facilities in his province. The President arrived here this morning to inaugurate and inspect various government projects, including the P1.5 billion, 134.5-kilometer Palawan Road Project connecting Puerto Princesa City to Roxas town and other municipalities in the northern part of the province. The project was undertaken jointly by the Department of Interior and Local Government (DILG) with funding assistance from the Asian Development Bank (ADB). Among the benefits of the project is the systematized sanitary disposal of solid waste, reduction of air and waterborne diseases associated with open dumping, and reduction of pollution of the Tagburos River and the famous Honda Bay. From Antonio Bautista Air Base (ABAB), she motored to Barangay San Pedro where she unveiled the marker and cut the ribbon marking the official opening of the Puerto Princesa-Langogan-Roxas Road project. The project was funded by ADB under its Sixth Road Project. The completion of the project is expected to address the major constraints to Palawan’s economic and social development, particularly in the northern portion of Palawan. The President also inspected the Puerto Princesa City government center and nature park, the new city hall, and sports complex. The sports complex served as temporary shelter for the 2,000 families of victims of the fire that hit Barangay San Pedro. The President also inspected the Coastal Development (Bay Walk) Project at Barangay Sea Side and the road widening project at Rizal Avenue leading to Palawan Airport. She also made brief visit to the headquarters of the 10th Marine Battalion Landing Team (MBLT) and informed them of her administration’s housing projects for members of the Armed Forces of the Philippines (AFP). Being hailed as one of the Philippines’ top tourist destinations has not stopped Puerto Princesa City from exploring other ways to showcase its flora and fauna to nature lovers and other potential visitors. 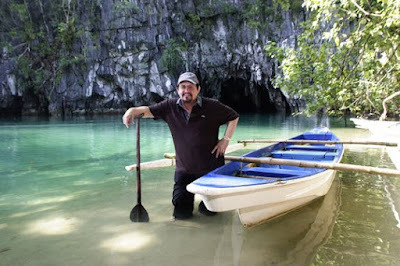 In recent years, Puerto Princesa has taken the initiative to channel its efforts in promoting its sights, natural and historical through sports tourism. The city which earned the monicker “the country’s last frontier” has successfully hosted both local and international sporting events in the past, most prominent of which are: the BIMP-EAGA (Brunei-Indonesia-Malaysia- Philippines – East ASEAN Growth Area) Games in 2003, the National Youth and Women’s Amateur Boxing Championship, the MIMAROPA (Mindoro Oriental and Occidental-Marinduque-Romblon-Palawan) Regional Athletic Association Games, the International Invitational Sepak Takraw Championships and the best-ever attended motorsports event in Philippine sports history, the FIM-UAM Asia Pacific Motocross Championships. Next month, Puerto Princesa will take its achievements in the sports tourism realm to greater heights when its hosts for the third year in a row the 2006 Motocross Masters of Asia, Round 2 of the FIM-UAM Asia Pacific Motocross Championship slated at the Puerto Princesa City motocross racetrack adjacent near the City Hall on March 16-19. With no less than the city’s CEO Mayor Edward S. Hagedorn and the City Administrator Agustin Rocamora presiding over the preparations, the event promises to be another blockbuster and is expected to surpass the success of its 2004 and 2005 versions where over 70,000 spectators showed up. Up for grabs anew in the centerpiece 125cc class is the Mayor Edward S. Hagedorn Cup, a sterling silver trophy coming from the city’s chief executive and his constituents. Considered as the biggest motocross series in the Asia Pacific region, the event will be participated in by riders from China, Malaysia, Indonesia, Thailand, Sri Lanka, India, Japan, Guam, Saipan, Australia, New Zealand and the Philippines and will be covered and telecast by the ESPN Star TV Networks to an estimated 400 million households worldwide. With barely five weeks before the Motocross Masters of Asia, the Filipino riders competing in the event will have the first of two tune-up races next weekend when the 2005 NAMSSA Camel International Supercross Championships stages its opening round in Bacolod City on February 17-19. Round 2 is slated in Iloilo City two weeks hence on March 2-5. The 2006 Motocross Masters of Asia is being organized by the NAMSSA and supported by the City of Puerto Princesa, the Philippine Sports Commission, motorcyclephilippines.com and Inside Racing magazine. For details on the Motocross Masters of Asia and the Camel International Supercross Series, please email [email protected] or call 0917-8992363.